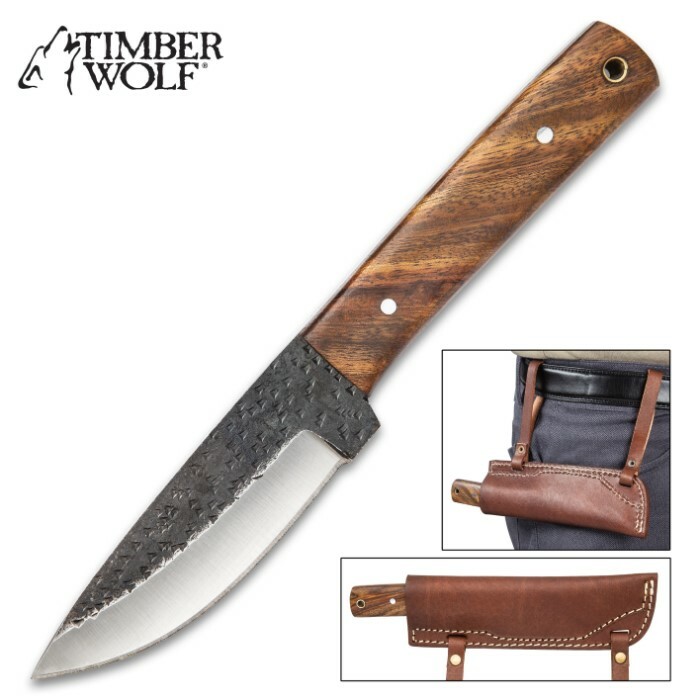 Timber Wolf Bushman Fixed Blade Knife With Sheath - Forged Steel Blade, Wooden Handle Scales, Lanyard Hole - Length 9” | BUDK.com - Knives & Swords At The Lowest Prices! 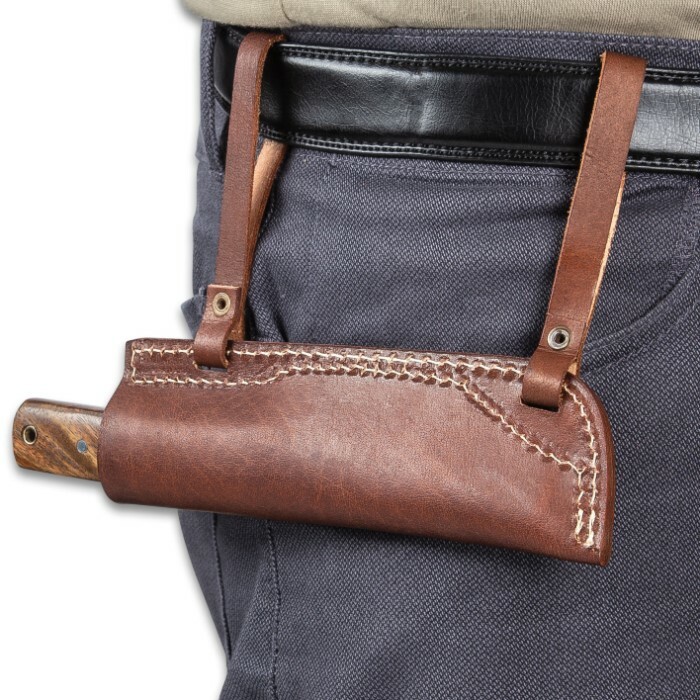 A survival knife that is easily accessible, when you need it most, is the most crucial tool you can take into the wild. 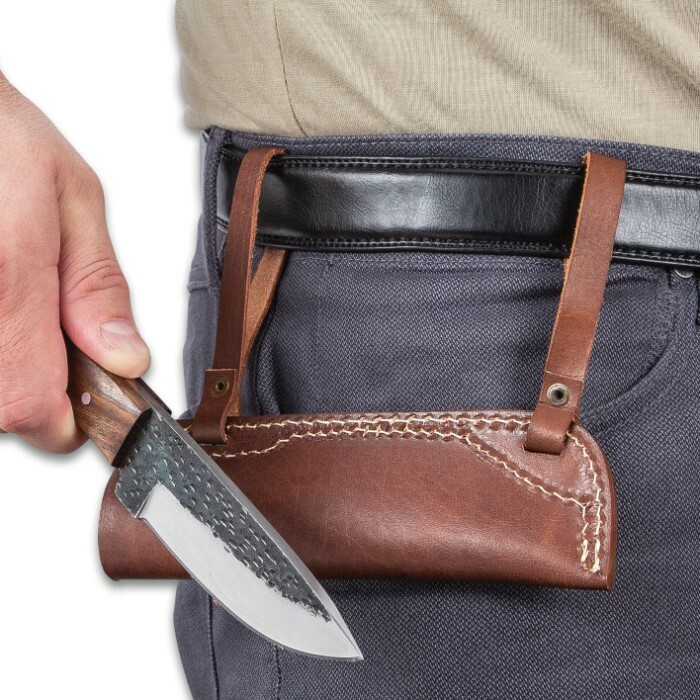 Our Timber Wolf Bushman Fixed Blade Knife is compact, taking up very little room on your person, and can be drawn from behind your back, at a moment’s notice, from the horizontal belt sheath. 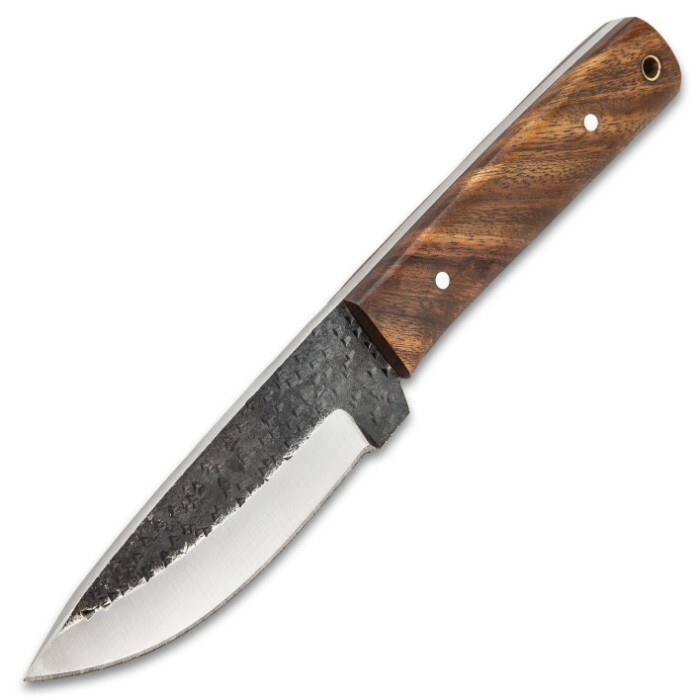 The knife has a 4 1/2” full-tang, forged stainless steel blade with black rough-forging above the edge and along the spine. 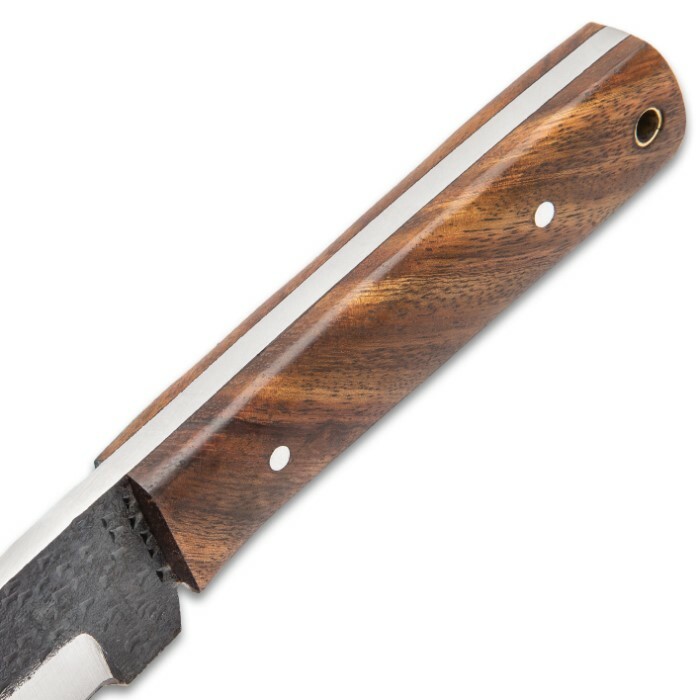 The brown wooden handle scales are secured by two stainless steel pins and it features a brass lanyard hole. 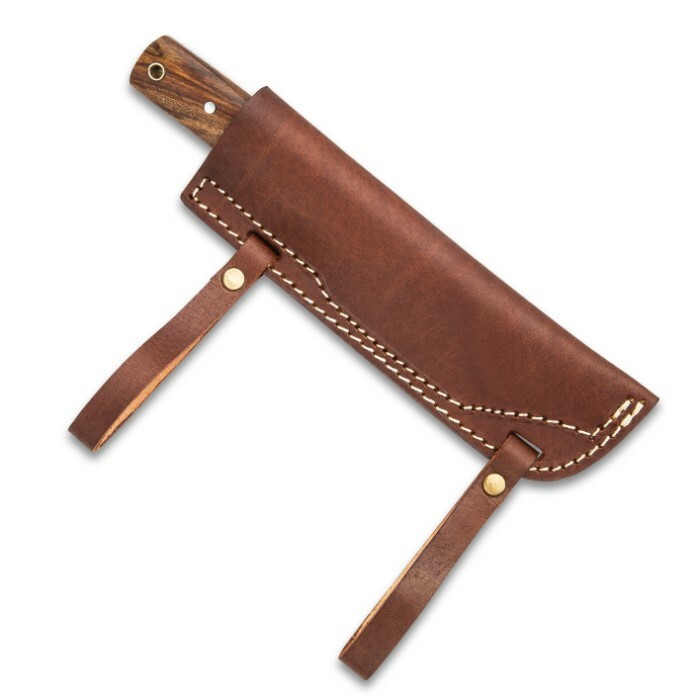 The sheath is crafted of premium brown leather with two belt straps and it features white top-stitching.